Kerala SSLC School Codes Pathanamthitta District are given below. The code is sorted in educational district wise. 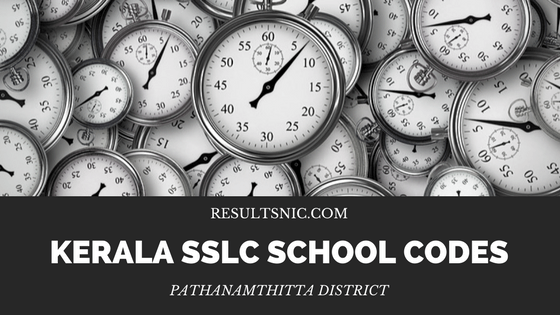 Kerala SSLC School Codes are required to check School wise SSLC Results. School Codes in Pathanamthitta Educational District is given below. School codes of Thiruvalla Educational District in Kollam are given below.